Doctor Who fans: if it turns out that Phoebe Waller-Bridge isn't the 13th Doctor, who should be? APA 6th ed. : (2017-07-13). Who should be the next Doctor?. The Guardian p. 9. MLA 7th ed. : "Who should be the next Doctor?." 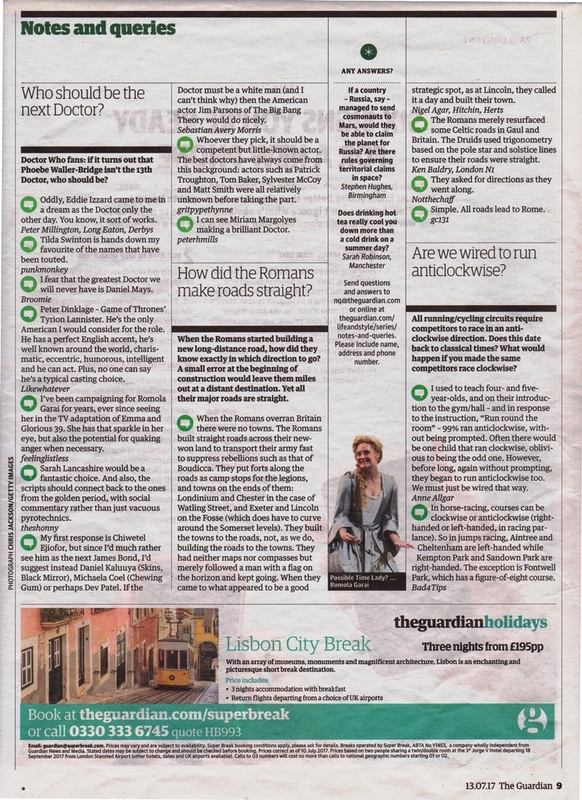 The Guardian [add city] 2017-07-13, 9. Print. Turabian: "Who should be the next Doctor?." The Guardian, 2017-07-13, section, 9 edition. This page was last modified on 1 September 2018, at 02:02.